Started in 1944, Trouble Shooters has been a staple in the Toronto plumbing landscape. 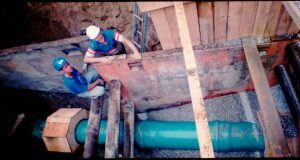 Back in the 50’s we were one of only 6 or 7 Toronto plumbing companies servicing the whole GTA. We focused the business on really helping people out when there was an emergency and we quickly became known as a company our customers could count on and respect. We are proud to say that for over 70 years we have been a family-owned and operated business. 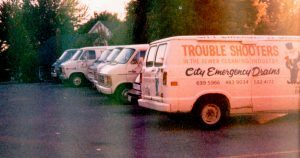 Our first fleet of trucks outfitted with the original Trouble Shooters branding. 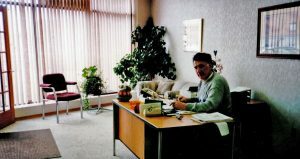 Micheal Campbell, original owner and operator sitting at a desk in the first office. Michael Campbell, now retired and Gerry Campbell current owner. Featured on a job where we were replacing storm mains and even crafted our own custom made couplings to expedite the process.